Ever since i flew Jet Airways Business Class (domestic), I have been waiting so long for an International trip to experience the international business class products, as that’s where we can get a real value for the money (or just miles). I was actually hoping to try Jet Airways wide body business class but Air India 787-Dreamliner was the only choice i had that fit in our rates & timings. 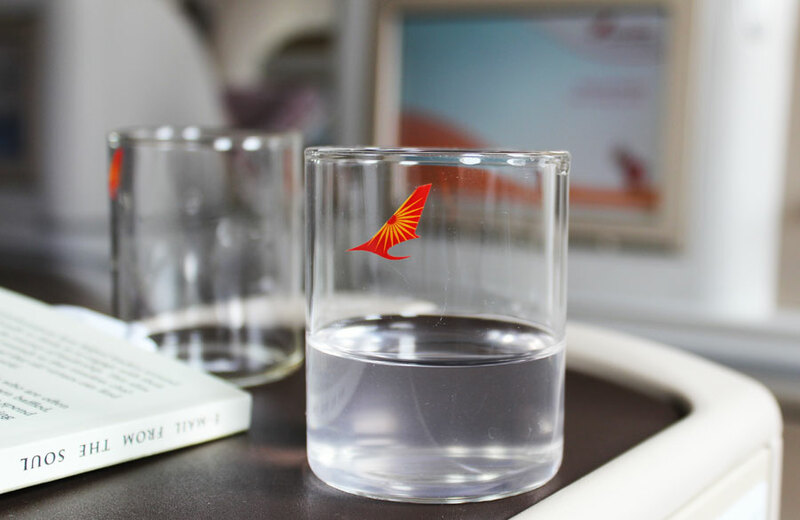 Here’s my experience with Air India International business Class on Boeing 787 Dreamliner, from Chennai (MAA) to Singapore (SIN) which I flew during my trip to Singapore & Malaysia. I initially booked the seat in economy class (revenue ticket) with HDFC diners credit card reward points and later upgraded to business class using 33k air India miles that i accrued using SBI Air India Signature Card last year. It took about ~10 mins on call with customer care for the upgrade. Not bad, as jet airways wants me to send an email to upgrade. Considering the cost of a revenue Business class ticket, I was able to get ~0.50 INR/mile which is a decent value. As there wasn’t any queue in the regular counter and as I was with my friend (who flies economy), I went with the economy counter. But once the guy came to know that I got business class seat, he wants me to check-in at the business class counter. 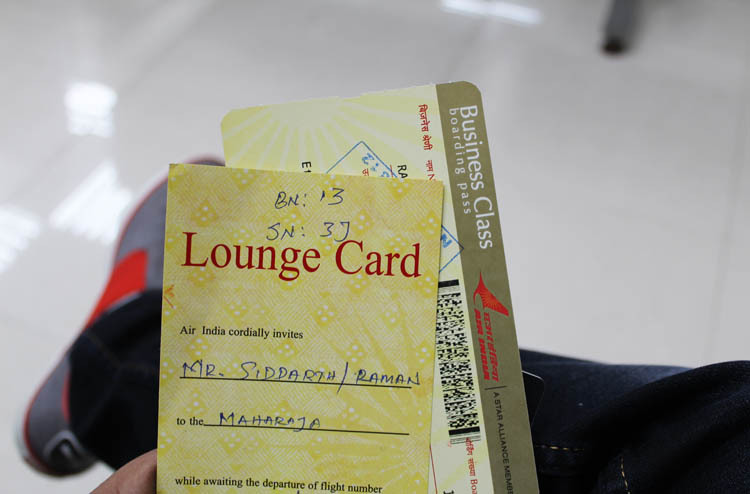 Within minutes got the boarding pass in hand along with the Maharaja lounge invitation which is the business class lounge of Air India. So I headed straight towards the lounge and FYI, there was no fast track business class security line like in Mumbai. Boarding started by the time we reached the gate, about ~15 mins late due to bad weather, and we thought of taking some pics of the plane until rest of passengers gets inside. Everyone got in but my friend was still away from me busy snapping the airport left and right. While I was trying to call him, one of the gate attendant calmly said that there was a long queue down and that I can take my own time. My Business Class boarding pass is already gaining attention by the two attendants and they were tracking my moves every other second, like we stare at a beautiful girl. I boarded through the front door, and took a left which opens up to the business class cabin with 16 seats in 2-2-2 configuration. I was surprised (and not happy) to see the cabin full and the welcome drink is being served to other passengers. I should have got in early! Most of the business class passengers were Singaporeans and I can see one Indian in a long shot. I finally got settled in my seat which was 3J. First thing i love about 787 dreamliner is their electric window dimming feature which helps you control the sunlight entering the cabin. It was very useful to me as i wear power glasses and can’t keep changing to coolers just incase if i wanna look out. 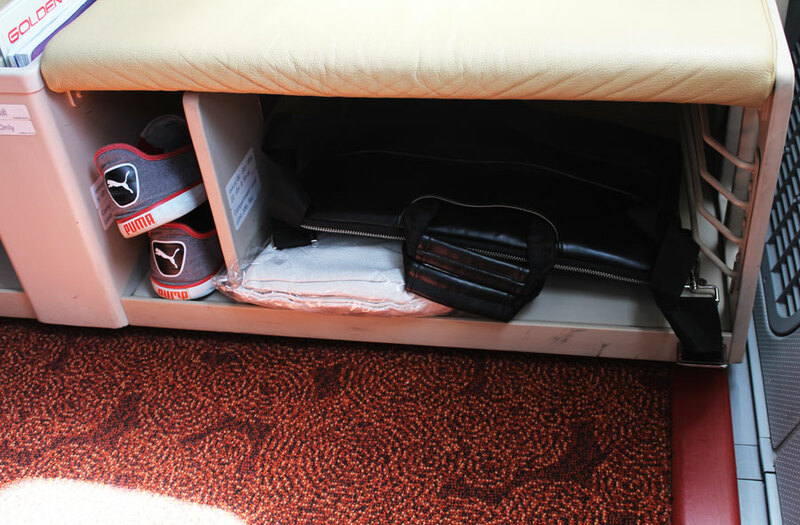 There were some storage space below the ottoman/leg rest and also to the sides of the screens in front. There was a wired remote to operate the personal television and the sad part is my remote was bit faulty that i wasn’t able to see the live location tracking screen. The flight attendant agreed that its a glitch but didn’t return back with any solution. The seat has 2 pillows (1 small/soft + 1 big/firm) and overall i felt very much comfortable all through the flight with this setup. Just as soon as i got settled in my seat, I was given a choice of coconut water / orange juice as welcome drink. I went with coconut water, which was OKAY. Few minutes later comes the cold towel which was served like a spring roll, as always. The flight was already approaching the runway and it was one of the smoothest takeoff I’ve every seen. Looks like the heavy engines on Dreamliner does the work pretty well. While I was expecting a menu to come, the crew started serving drinks. While i was looking at 10+ different bottles in the beverage cart, I was asked “What do you want, sir?”. As a teetotaler, I’ve no idea what to say and so I went with “A champagne for a beginner please”. She smiled and suggested some name and I went with it. It was my first champagne and I was happy to have it in the sky. I liked the taste of the sparkling wine on tongue – It was mild and good as i expected it to be. Though I couldn’t take more than couple of sips as I believe I need to develop a taste for it (alcohol in general). I was given 2 options in Non-Veg (continental/Indian) and I went with Indian. The guy nearby went with Continental and the only difference is he got white rice, while I got sambhar rice. His plate would have looked much more attractive on picture, mine was good in taste anyways. The food tray had some breads & parata (Didn’t touch), cut fruits, sweets and a big cup with poriyal, sambhar rice & fried chicken. Totally enjoyed the meal, especially the payasam was so damn tasty. It was a fulfilling meal and certainly lived up to my expectations. All the above service was done on time and there were proper follow up and plate clearance. The entertainment system was loaded up with good set of movies though i wasn’t interested in using their low end headphones nor in a mood to watch any movies/series. I decided to take a short nap and so went ahead and converted the seat to a flat bed. While i thought i had a wonderful 10 mins nap, i then realised that 1 hour had passed already (Was that the champagne effect?!). That was really a pleasant sleep i’ve ever had at 40,000 feet. Knowing about the Air India’s name and fame(!) in the country, i went with little expectation but then i should say that everything from the seat to the food and the service is all up to the mark. Overall, its safe to say that Air India International Business Class certainly exceeded my expectations, atleast in the Air. 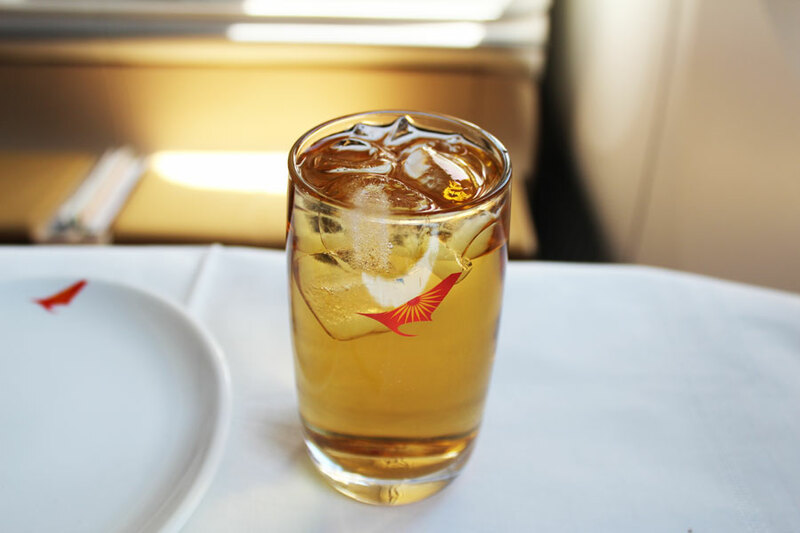 This business class flight was made possible with the help of airmiles that i accrued with SBI AirIndia Signature Credit Card (review here). While i’m happy with the redemption, i think i could have got more value if redeemed on other Star Alliance Airlines. Do you have any suggestions for my future redemptions? do let me know! 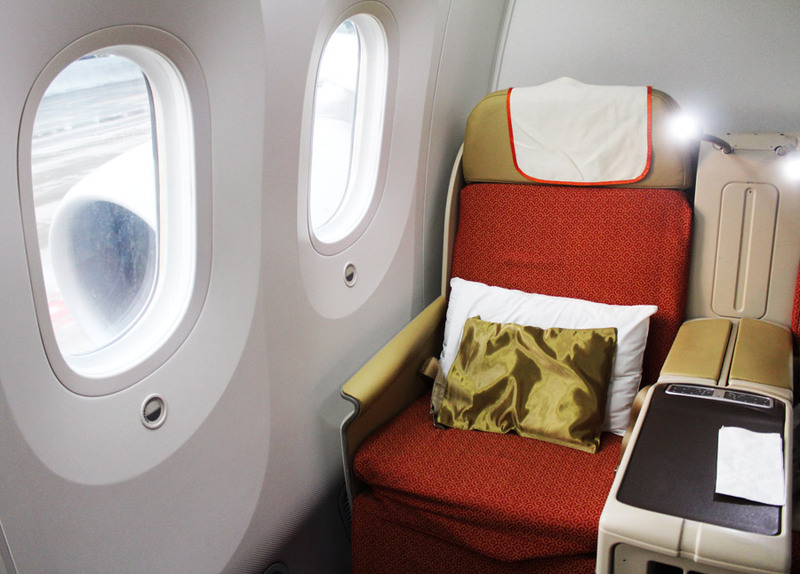 Have you been on Air India Business Class or planning for one? Feel free to share your thoughts in comments below. Btw, Which one do you guys prefer? Wow. Great to see international reviews. Hi Sid Thanks for sharing such a detailed review. Your review remind me of my experience in Dreamliner business class on Delhi- Kochi-Dubai flight. I booked Delhi to Kochi ticket on my transfer to Kerala. Being government employee Air India is only option even if tickets are10X. I booked economy class ticket for 23000 rupees a day before journey. Though most of passengers on this flight are of Kochi but flight departs from international departure of T3. My flight got delayed by 3 hours and when boarding began, I was upgraded to business class by simply writting seat number on my ticket. 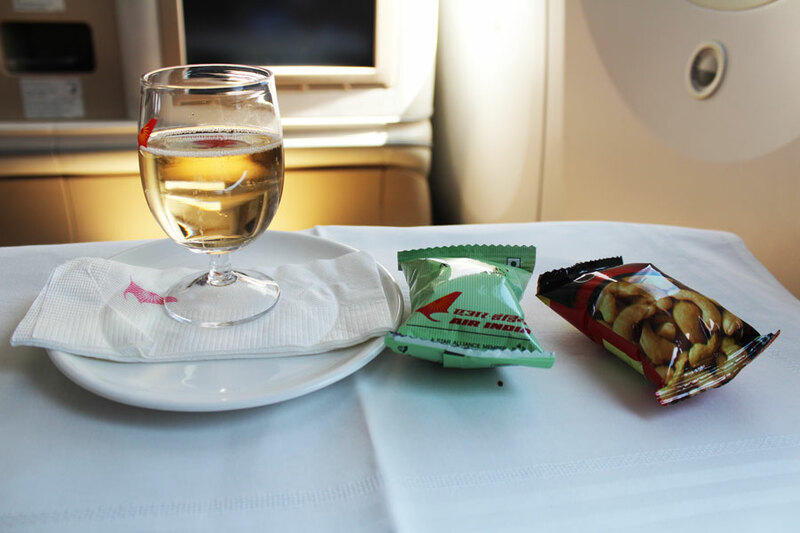 Welcome drink and cold towel was provided on boarding aircraft. Seats are nice and there is inbuilt massage feature available in chair. As far as other services such as food drinks etc goes, it looked pretty much like economy class. It was early morning flight hence breakfast was served but only choice was veg or no veg. I didn’t see any menu etc. Also alcoholic drinks were not served to anybody. Then tragedy struck- my phone had fallen into seat casing. I spent almost an hour out of 3 hours flight in finding my phone but couldn’t. Finally at Kochi airport engineering had to open couple of seat casings to find my phone. I was very happy with experience then but seeing your review I think Delhi -Kochi Dreamliner business class is not that good. Also lots and lots of video instructions are given during flight that really intrupts movie experience. A similar flight also flies to Chennai which i was planning for my upcoming trip, but changed mind later. Hopefully i’ll try that soon. @siddharth you did the right thing by choosing Air India over jet airways. Because clearly Air India has better fleet than jet in both domestic and international. Service also has improved a lot. 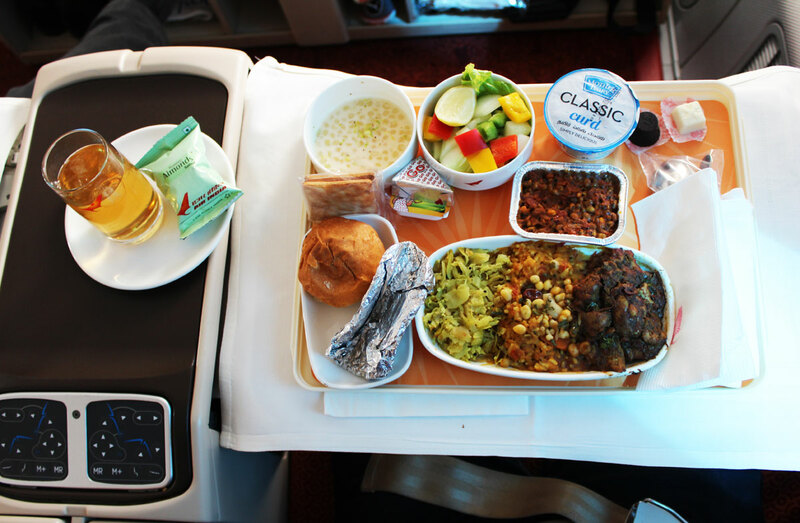 I have tried both airlines international business class and i must say Air India leads the way. The dreamliner is the most modern aircraft by boeing and has some excellent features. Next time fly Airbus A350 xwb by redeeming your AI FR miles in star alliance partner flights. One thing i did not get is how were u able to do this..??? 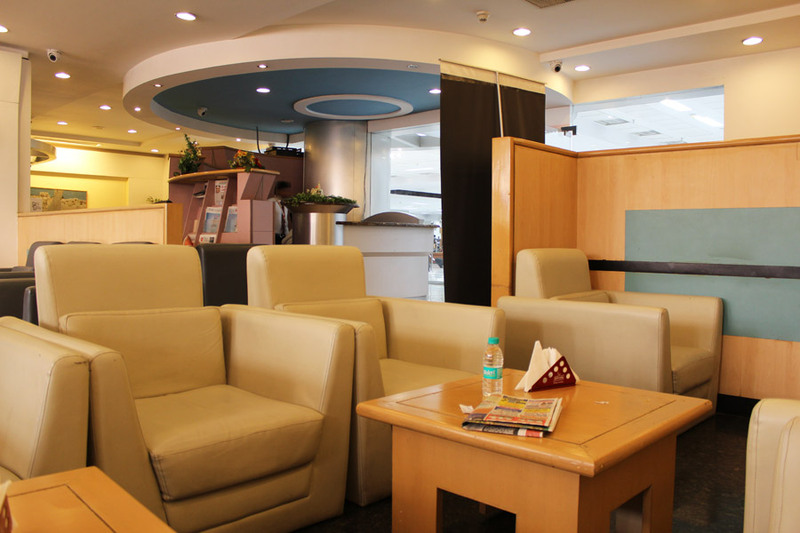 Booking free award ticket via redeeming hdfc diners rewards points and then also upgrade using FR miles. As per my knowledge both is not possible. You can either get free economy award ticket or you can upgrade from economy to business. Thanks for the tip. Any specific route you suggest for Airbus A350 XWB? Most of the credit card reward points (not miles) can be redeemed for revenue ticket of any class. Its not an award ticket and it works the same way for years. So for HDFC DCB, did you have to generate a voucher? or else how did you do it? Yes, through voucher and then book flights. Yes you get points back when its refundable ticket. But its too much risk as i had to chase HDFC for 3 months to get it credited back when voucher was even left unused. Thank you for the clarification sid, i will try to do that. Will let you know whether i was successful or not. For your maiden A350 flight you pick any destination and i will let you know which airline will fly you their in there A350. I am such an #avgeek!! 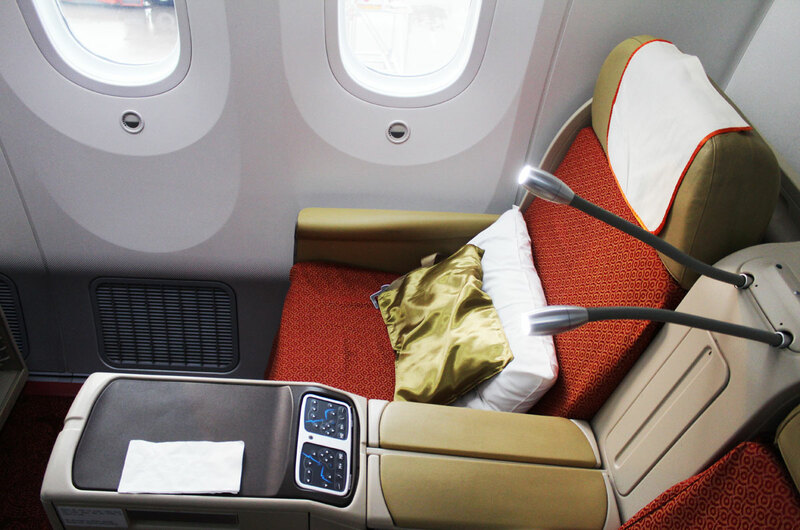 And yeah one more tip… Whenever you fly A350 go for business class, that is how you will be able to compare dreamliner and A350’s business class products. And i am very much sure you will love the A350. Watch some Airbus company’s videos on A350 before flying to know some cool facts about the most modern aircraft in the world!! That’s cool. I’m thinking about Dubai and other SE Asian countries. Just checked the interiors. Business Class is awesome and even Premium Economy is so good. Then try Doha instead of Dubai. Because Qatar airways has the best business class in A350, it’s called as Qsuites. That business class is way above then any airlines first class. Currently Qatar has the maximum number of A350 and is the launch customer. But with Qatar you won’t be able to burn your AI FR miles because Qatar is member of oneworld not star alliance. 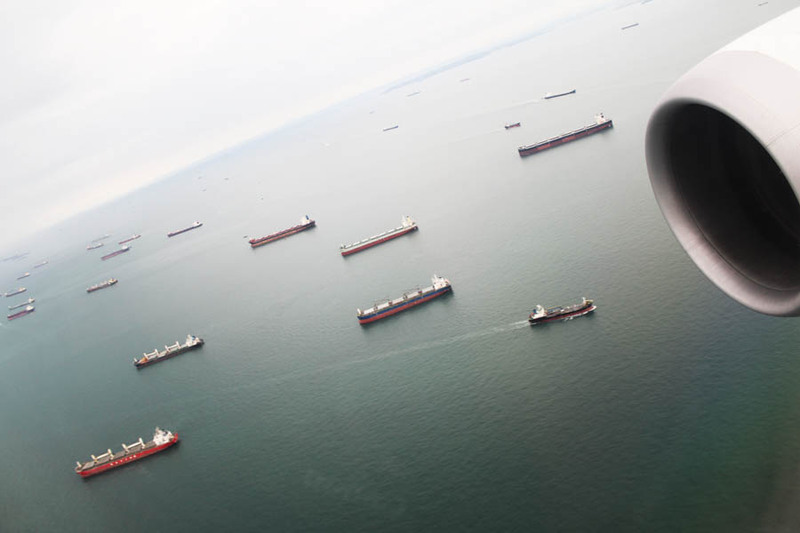 From Star alliance….Lufthansa, Thai Airways, Sinagapore Airlines, and Ethiopian possesses A350 in their fleet. What is the camera that you used to take photos particularly that grape juice ? its a perfect SLR with some prime lens with low f value ? ( wide aperture ) right ? so whats the camera and lens ? 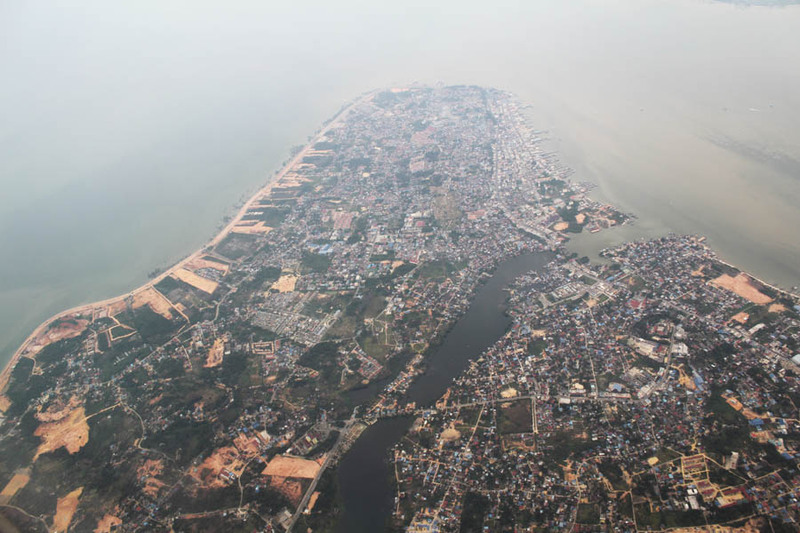 I use Canon 600D, with its default lens. Speaking about that snap, its kind of luck as i just clicked with autofocus. Emirates business class is the best J class product in the sky. Do check it out. A380 Biz cabins are the best they have but the attention and service is a tad better on their Boeing (non 787) flights with the smaller cabins. Thanks, will check the same. Qatar beats them quite easily, because they have DIne on Demand which is what you get in EK F class. 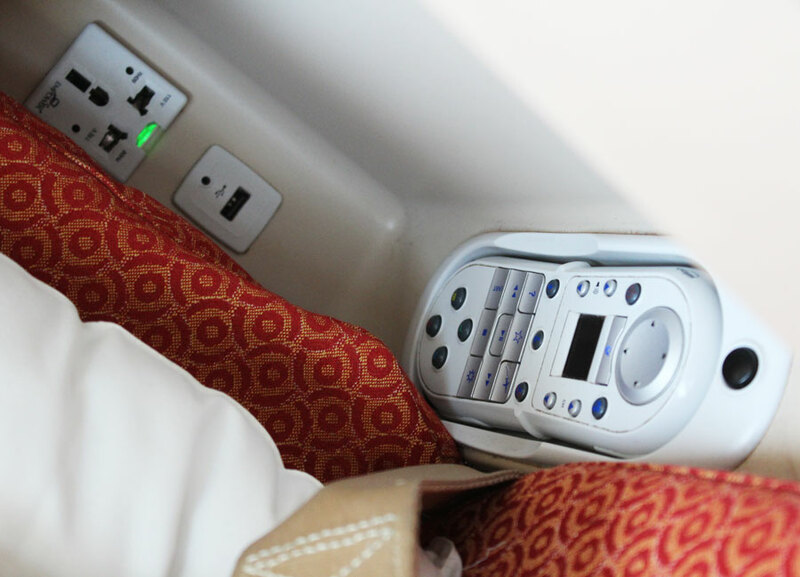 The Qsuites business class is a much better hard product & the soft product in terms of the crew is more awesome than EK, where now the crew has way too much attitude. Hey Siddharth! Thanks for the great review! Since you mentioned that your friend accompanying you was traveling in the economy class, could you please mention his experience in Air India economy class? 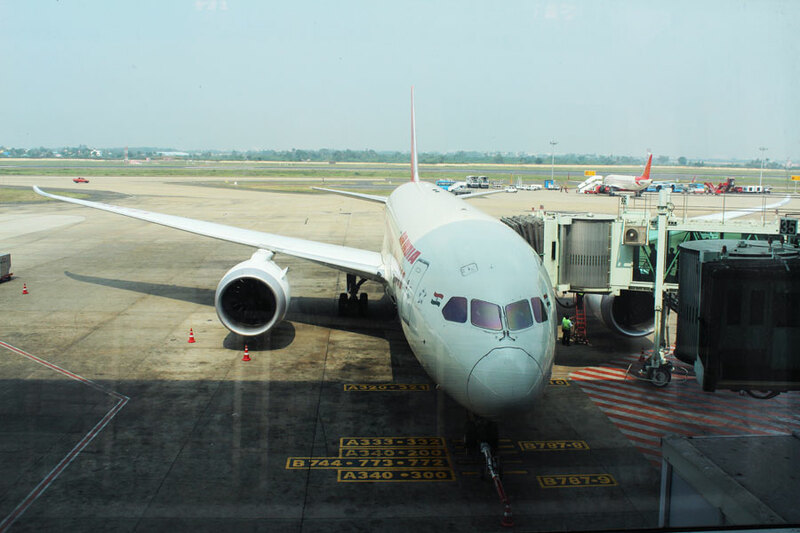 I have an upcoming travel from Delhi to Singapore next month via Air India, and I am jittery about my experience, given Air India’s perception and online reviews that I have read. Yes it was good too. Its just that they’re not meeting the standards of a full service carrier in some ways, but overall its good. 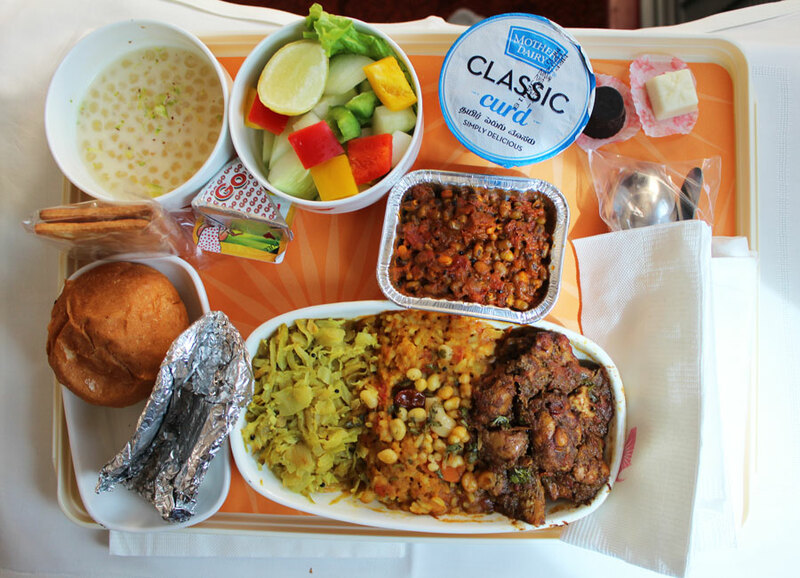 Air India Economy has better legroom & good meals too AFAIK.